Following the master plan approval by the College, Wilson Architects were commissioned to develop the next accommodation wing increasing the resident population of 297 to 326. The new building’s siting was based on the removal of the Country Estate. 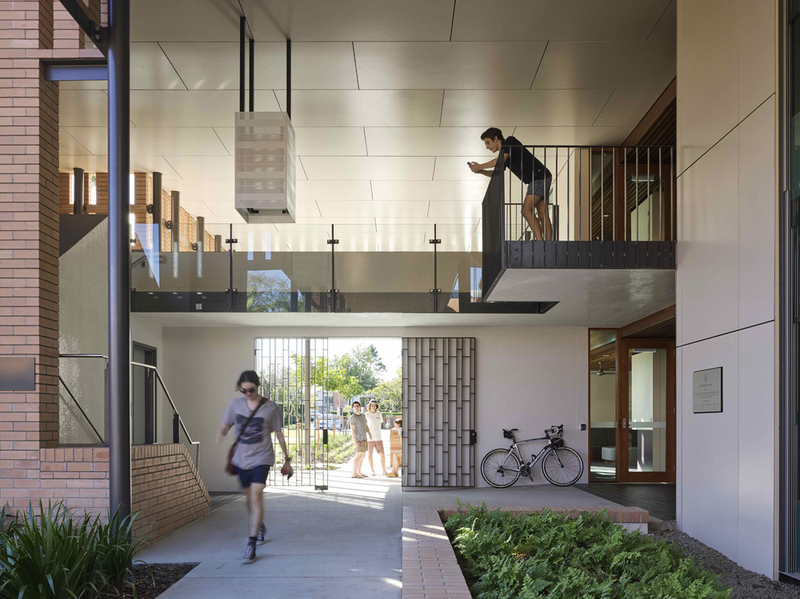 This single story residence which has been used for overflow student accommodation not only required significant upgrade expenditure but has been regarded as a detrimental to the entry approach to the College. The established construction palette at King’s is brickwork, and all new construction features brickwork, matched similarly to the existing brick of the College. 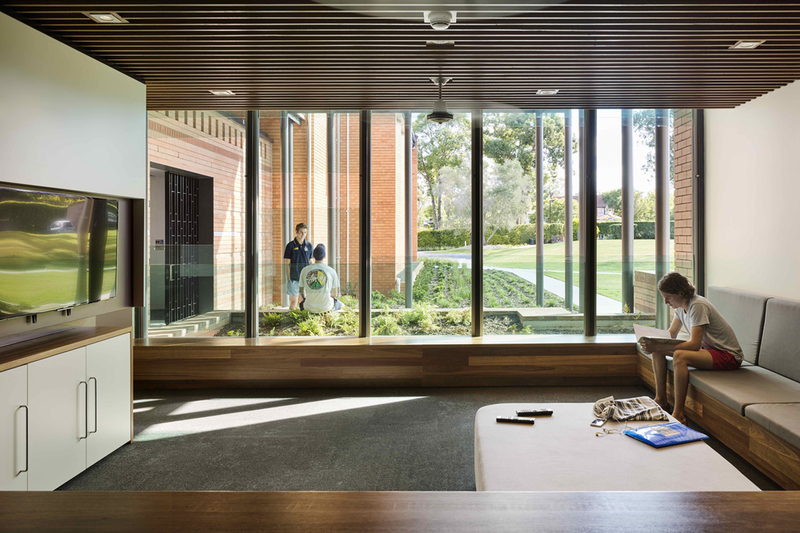 The design of the Wensley Wing creates four small communities of students each with a living room/lounge and group study space. 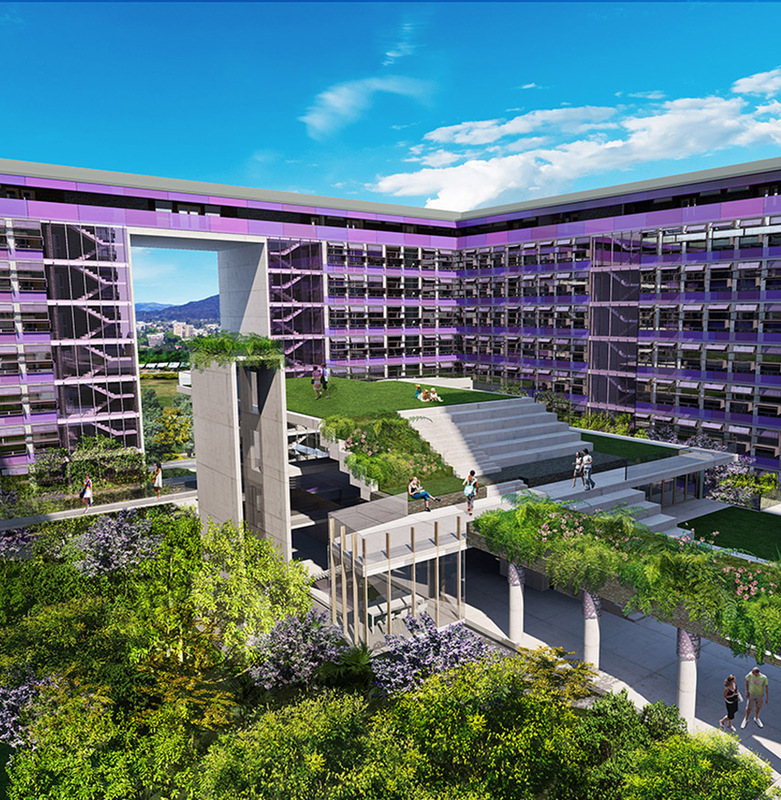 The new Wing also features operable aluminium sunshades, similar to the recent Centenary Building at the College, creating a relationship with this building and a more contemporary architectural style and identity.